TUPPER LAKE — Three years after Raquette River Brewing cracked into the craft beer industry, the bar and eatery is expanding once again to accommodate a growing clientele base with more beer, more food and a warmer area to enjoy both. Co-owners Mark Jessie and Joe Hockey are now working daily to enclose the brewery’s 3,000-square-foot pavilion before the icy winter weather. While the engineer they work with is finishing the permanent enclosure designs, Jessie said the general plan is to have solid walls on the bottom with windows stretching around the large patio area so as to not lose its open, roomy atmosphere. Another bar area will be built inside the pavilion, relieving the current, often-cramped tap station and Jessie plans to replace the picnic tables with Adirondack-style furniture. A utility building will be constructed where the Donnie’s Barbecue food truck now sits to heat the concrete pavilion floor. The food truck will be parked on the other side of Balsam Street, which is essentially the brewery’s parking lot, after people worried moving the truck closer to Main Street would obstruct the view of the eating area. The area across Balsam Street has the potential for four food trucks, and Jessie said the Marketplace Pub and Deli will soon serve their gourmet sandwiches and soups alongside Donnie’s Barbecue. An increasing demand at the brewery means the operation is growing once again, increasing beer production nearly two-and-a-half times over. Breweries measure production is barrels, with 31 gallons equating one barrel. A new 10-barrel steam brewing system will replace the current four-barrel electric brewing system, becoming more efficient at the same time with the energy switch. The operation has come a long way from the two-barrel system initially used when Raquette River Brewing first opened in 2014. “We knew we would have to expand, but we never thought that things would happen as quickly as they have,” Jessie said. At the sixth annual Lake Placid Brewfest in September, Raquette River Brewing won the Fan Favorite Brewery award for the second year in a row, competing against 60 other breweries. Building the brewery’s brand, square footage and beer production was no accident. Jessie and Hockey made sure their business would survive on its own and be able to develop on its own merit. 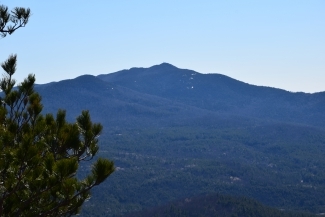 The two did not want their brewery to rely on the Adirondack Club and Resort project, which plans to reopen the Big Tupper Ski Area and bring luxury housing and other amenities to Mount Morris. 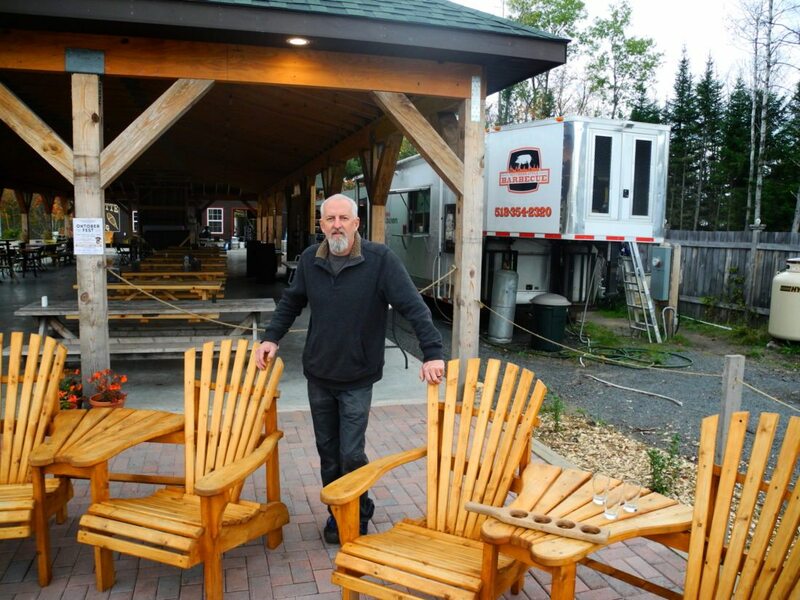 Concieved in 2004, the resort has recently made its first steps toward selling lots after years of court battles and waiting for permit approvals, but Raquette River Brewing is already a successful Tupper Lake venue and tourist magnet in its own right. To further expand brewing capabilities, two 20-barrel fermenters will double the brewery’s current fermenting capacity and its four-barrel hot liquor tank will be replaced by a 25-barrel tank. Jessie said these production advancements should be up and operating by early winter. There are even more efforts planned for the future, including converting a house next to the property into a merchandise store and opening a canning plant on land behind the current brewery. Jessie is negotiating with the family who owns the land to acquire around 2 acres to build a facility to send cans of Tupper Lake-brewed beer to stores throughout the state and beyond. Balsam Street, which is essentially the brewery’s parking lot, ends shortly after the brewery, but on paper exists straight past that into the woods. The town-owned property within village limits that was never deeded to the village, a century-old problem. At the Oct. 12 town council meeting, the town board voted to release all paper streets, including Balsam Street, to the village. A quick walk downgrade, over a short bridge crossing a stream and up again reveals the edge of the property Jessie envisions one day housing a 40-barrel brew system. As the area of street crossing the stream is classified as wetland by the state Department of Environmental Conservation, every square foot of the path developed requires that twice as much wetland area be created in a different location. Jessie said the village already is looking at property on Water Street to be converted. Doing the majority of the construction themselves, Jessie and Hockey are waiting for some time to take a breath, sit back and run the business. 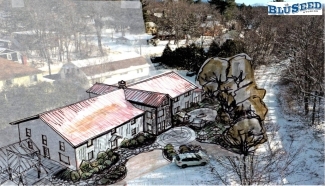 However, with a rapidly expanding brewery, brewing five days out of the week and Jessie’s recent purchase of the neighboring Faust Motel, the two have their hands full at the moment as they look to make their dream brewery’s economic impact, tourism appeal and location a little bit bigger.